This is an interesting project. Adriana Ronżewska Kotyńska, a Polish architect and painter interested in public art projects, originated the concept behind the Audiomurale and then executed it, with a team, on the wall of a townhouse in the Old Town district of Elblag, Poland, a town extensively damaged at the end of World War II that waited until the 1980s for major reconstruction. The mural is in part a revitalization effort. Kotyńska and her team conducted interviews with passers-by recording their remarks about their town. 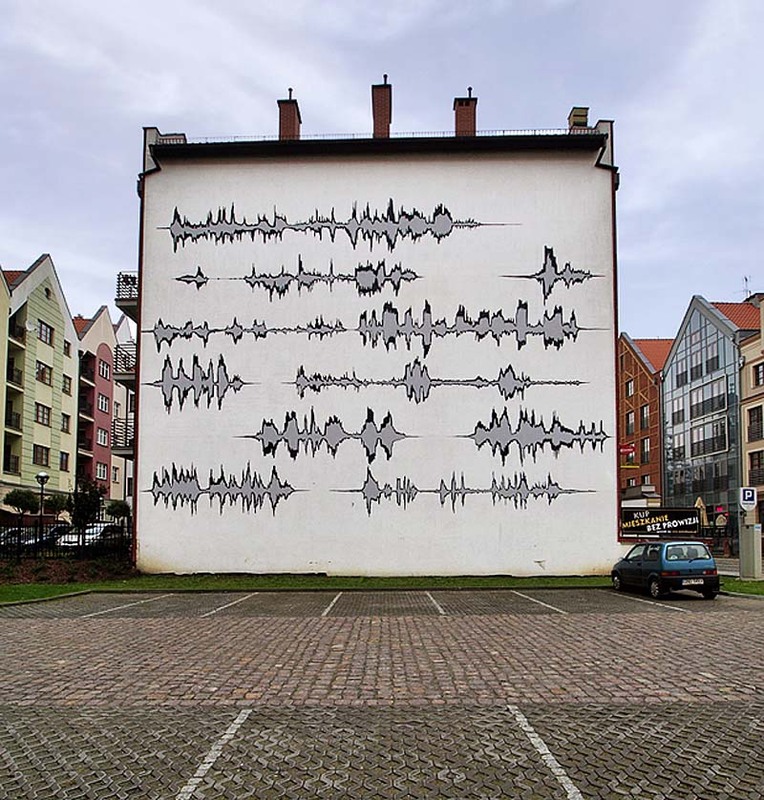 Selected opinions – including some unprintable remarks – were transferred onto a blank wall of a townhouse in the form of spectrograms (i.e. 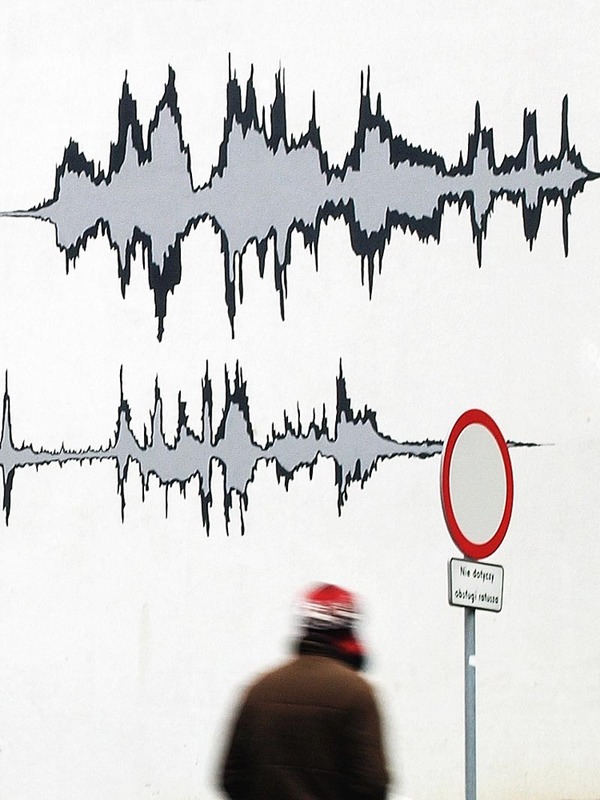 sound wave patterns); the ‘voice’ of Elblag. The project is intended as a temporary – though not short-term – intervention. The final mural requires a key which will be provided in the form of a display board with a QR code that will enable access to recorded interviews via a mobile phone. You can hear the mural’s audio track here. This entry was posted in Art, Interaction Design, Street Art, Stuff We Like. Bookmark the permalink.